Why chat widget goes offline on my Website? Why is the Chat Widget Offline on my Website? 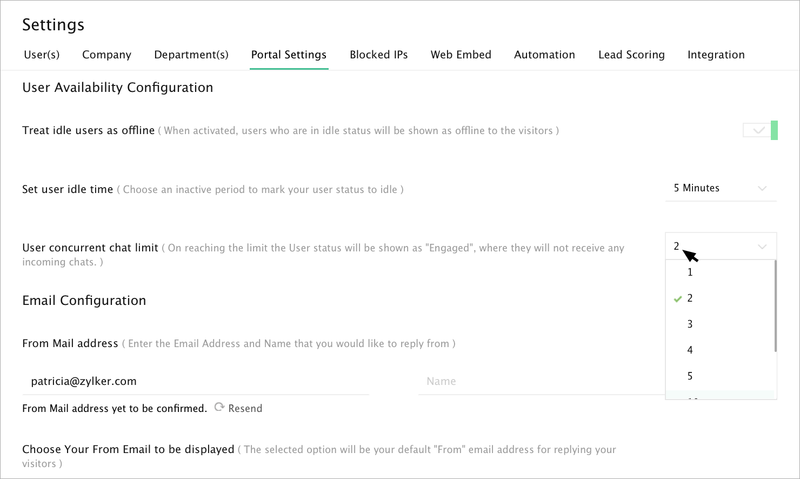 In Settings -> Company -> Business Hours, you may have enabled the business hours, if you login to your SalesIQ ​after the configured working hours then your chat widget will be offline on your website. You may have activated the wrong business hours too. 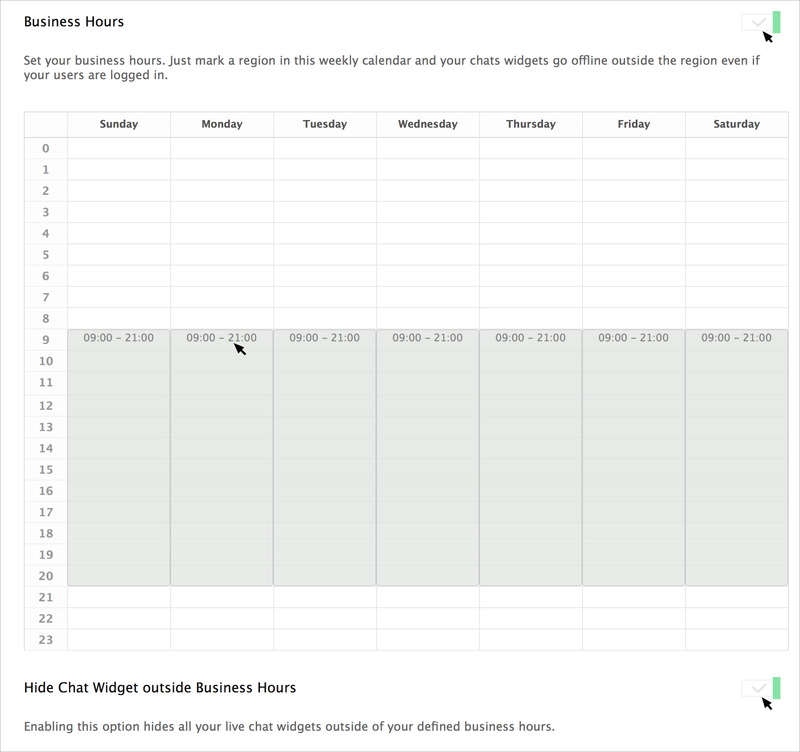 Note: Enabling the "Hide Chat Widget Outside Business Hours" option, will hide the chat widget after business hours from your website. If you find the chat widget offline even during business hours, then check the timezone selected in the Settings -> Company -> Timezone option. 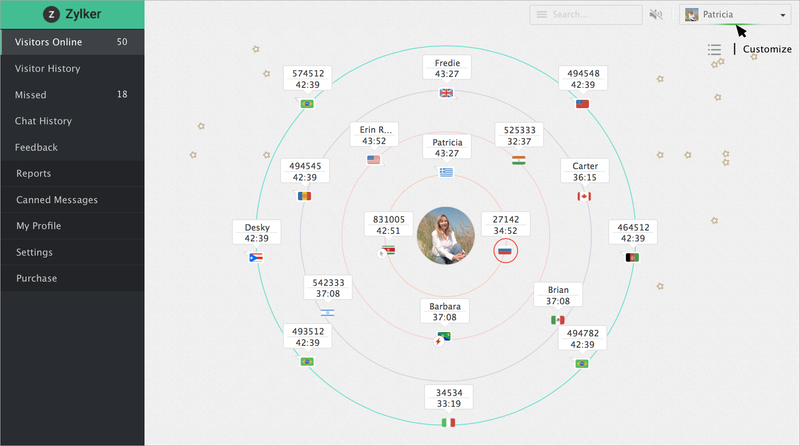 Your computer time zone does not calculate the Business hours; it is calculated based on the timezone configured on your Zoho SalesIQ.​ So, if the timezone not set correctly, then the chat widget will go offline. Double check your login. 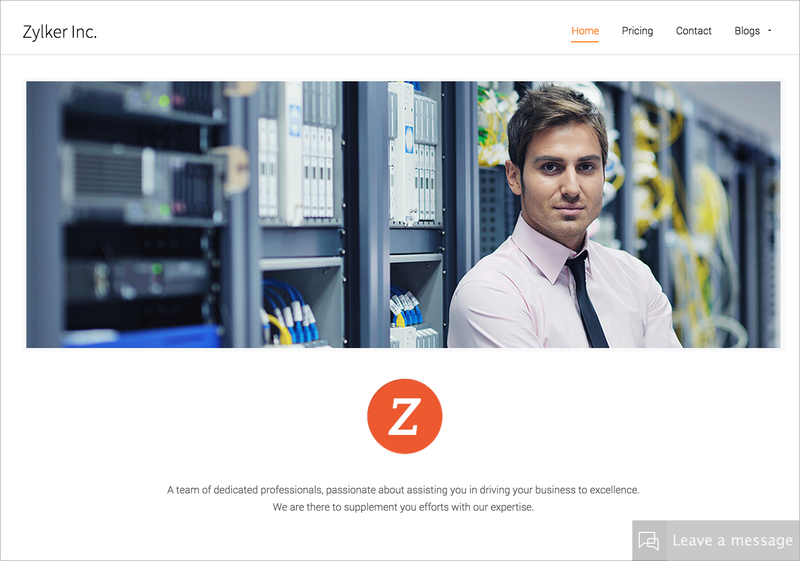 You might have logged into Zoho CRM, instead of Zoho SalesIQ operator console. 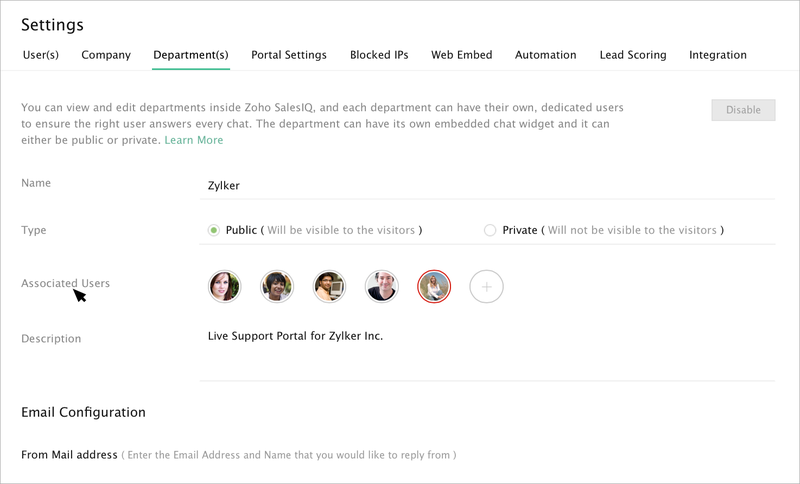 Even if you have integrated with Zoho CRM, the live chat code will not work if you login to Zoho CRM alone and your chat widget will be offline. Check your status, if your status is set as “Busy” then the chat widget will go offline. Set your status as available always. Example: If you are the only user to attend the website visitors and you have set your status as busy, then the chat widget will go offline. If you set your status as Busy, and other users are in 'Available' status, then the chat widget will not go Offline. In Settings -> Portal Settings -> 'Treat idle users as offline' option may be enabled. If your status is idle then the chat widget might go offline. The status will turn idle, when there is no activity found until the time configured in the "Set user idle time" option. 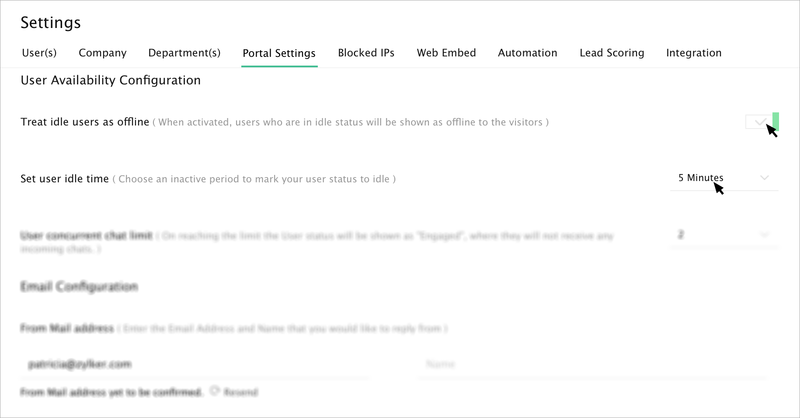 Example: If you are the only user to attend the visitor and activated the "Treat Idle Users as Offline" then your website chat widget will go offline when your status turns Idle. In Settings -> Portal Settings -> Concurrent Chat limit, check the count of your concurrent chat limit. When it reaches the maximum limit, and no other user is available to attend the visitors, then the chat widget will go offline. Note: The chat widget will go offline only when all the user's concurrent chat limit is exceeded, else the chat widget will be online and the chats will be routed to the available users. Check if the logged in user is associated with the web embed department. In Settings -> Departments, select the particular department name and add the user to the 'Associated Users' list.